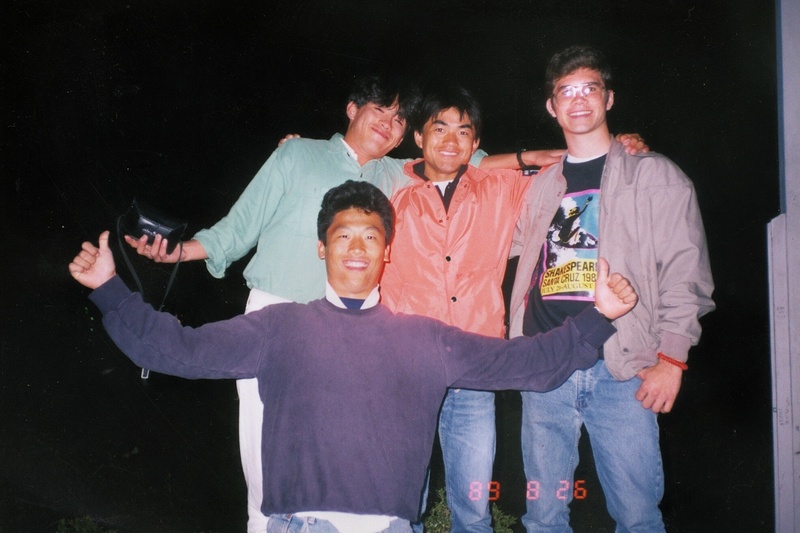 After high school I attended UCSC summer school before becomming a regular student at UCSC in the Fall as a fresh person. A good number of people in teh summer school program ( 5 weeks dorm living ) were learning Jappanese learning english. My dorm roomate was such a student. I made freinds with a few of these jappanese nationls and since i had a car I was popular as a guy to hang out with on teh weekend. 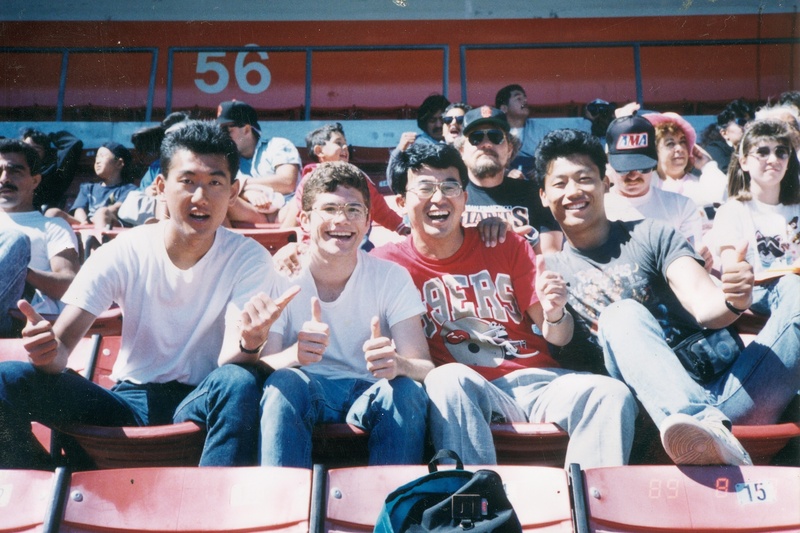 One picture i'm not sure where its shot maybe San Fran but the other is us at Candlestick park watching a giants game. Both these photos are August 89 and they can be clicked on for a larger size of the same photo.